This evening was the banquet and finale for this year's meeting. Here are a few pictures of tonight's festivities! Check back in September for all the exciting news on the awards in the Phycological Newsletter. It was great seeing everyone and we look forward to seeing you in Monterey next year! Safe travels! 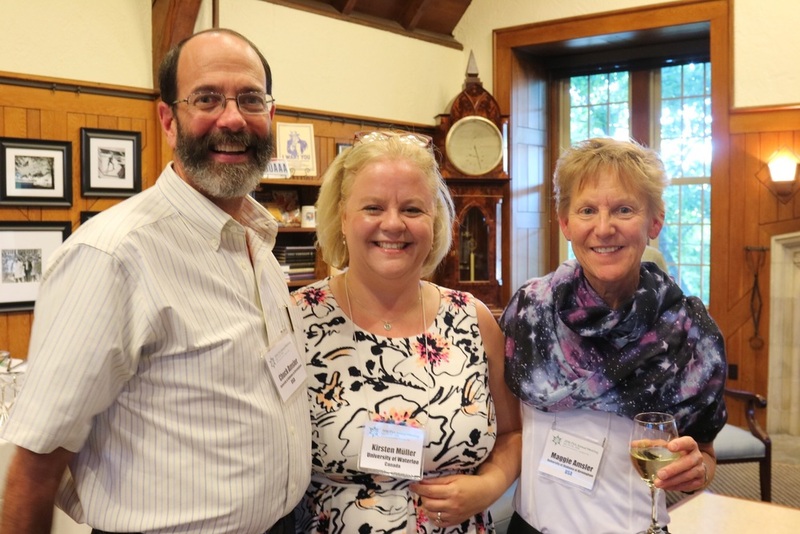 The inaugural PSA Legcy Society reception was held Tuesday evening in Rodman Hall. The nephew and niece of Dr. Norma Lang were present for this reception. 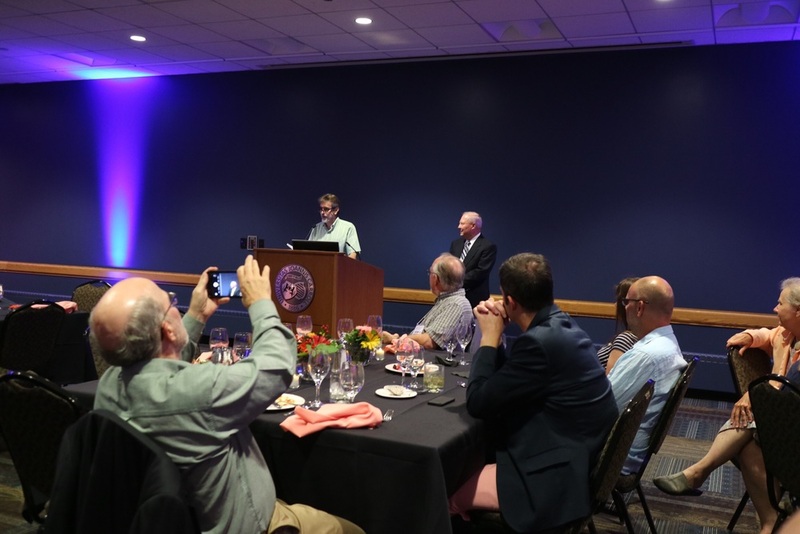 Rick McCourt, Paul Gabrielson and Kirsten Müller spoke about Dr. Lang's contribution to science, the society and as a pioneering female scientist. More about the Legacy Society will be posted on the website in the next few months. 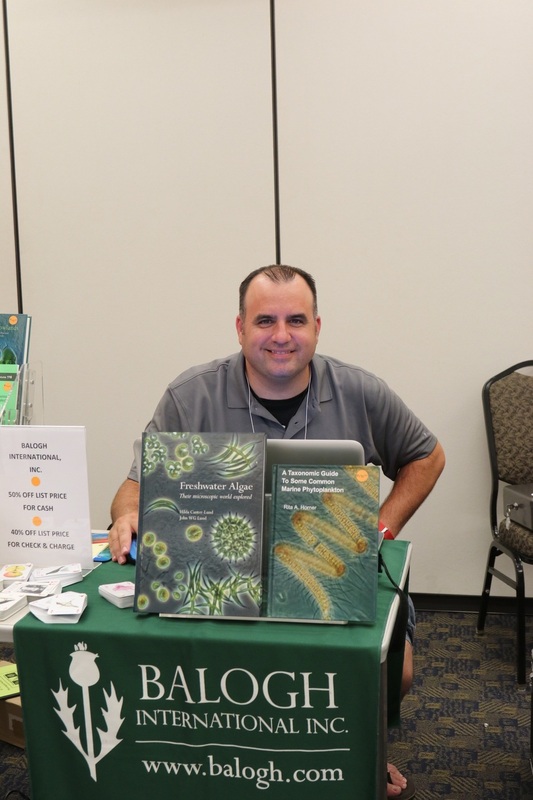 Don't forget to visit Scott Balogh of Balogh International, to check out new and past books in phycology and other related fields! Scott is in the PSA headquarters room. Poster Session and Auction this evening! 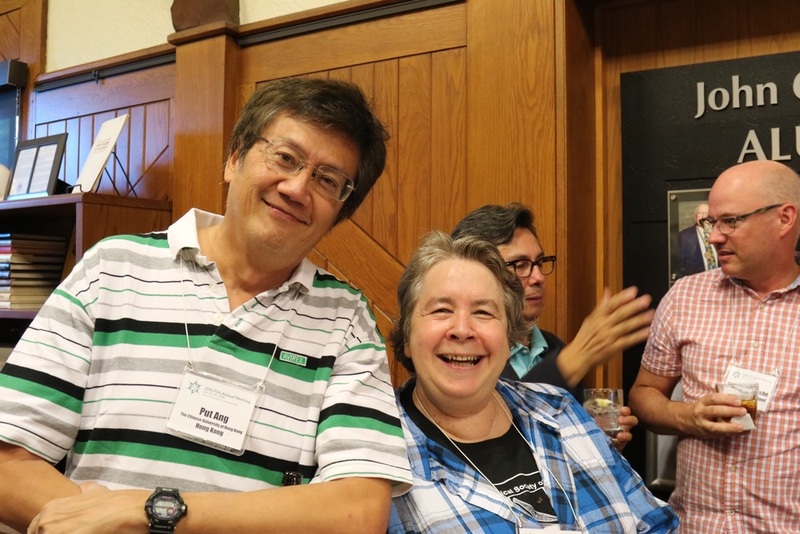 Following an riveting plenary talk on Paleolimnology and Climate change by Dr. John Smol (Queen's University, Ontario, Canada), the first poster session was held. This was followed up by an meal held in the Dolan Atrium and the annual PSA auction. 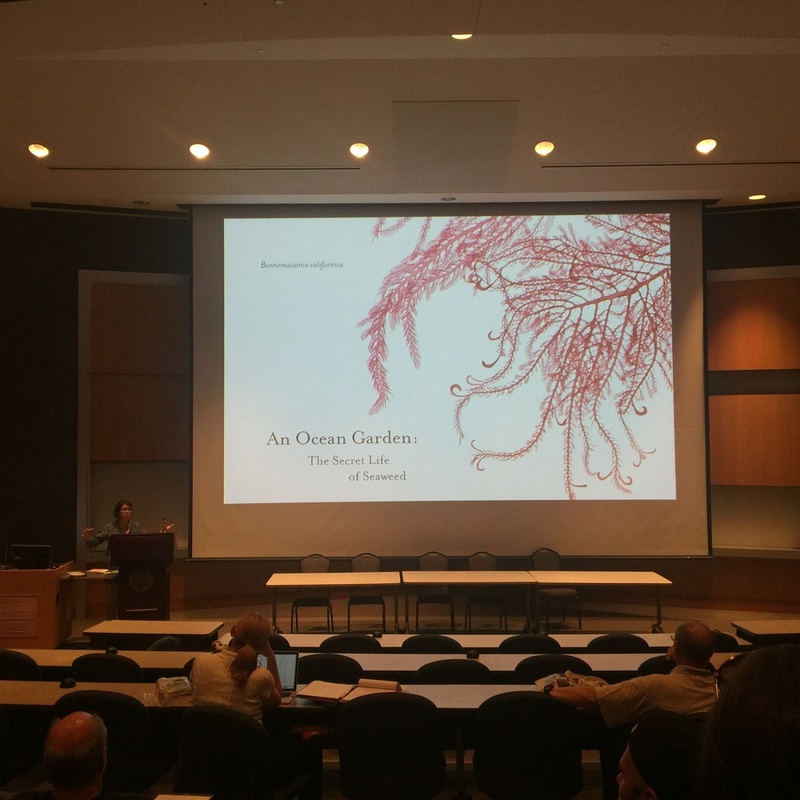 Josie Iselin spoke this afternoon about her technique for scanning seaweeds for her book "an Ocean Garden". Josie is present here at PSA until tomorrow in PSA headquarters. Be sure to visit PSA Headquarters to see the items that you can bid on during tonight's auction! Also present is Josie Iselin, who has a beautiful display of art books, seaweed themed shower curtains and scarves! Due to mechanical issues with aircraft, Dr. John Smol's talk will be rescheduled to 4:30 pm to 5:30 pm in the afternoon. This will be followed by a sumptuous feast at the poster session following this plenary talk. As a result, Opening Remarks will be at 10:30, followed by the Bold Session at 10:45 am. Coffee will be available in the atrium before the Bold Session. In addition, Jeffrey Morris will be chatting about using Twitter at meetings in the Atrium at 9:30. Check out PSA headquarters on the second floor of the Dolan Science Center. Registration is available. T-shirts for present and past meetings are also available in this room. Check back frequently for posts about this year's meeting! Updates, changes and information will be posted here!